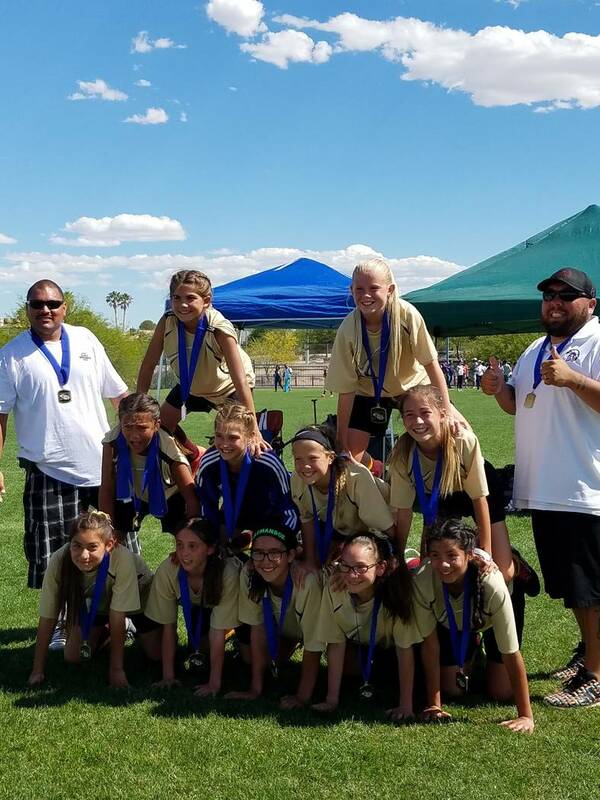 Pahrump’s 05 Trojans 12U Silver State Soccer team ended their season in glory on May 20-21 by winning the Silver State Soccer League Spring Cup. Special to the Pahrump Valley Times The “05 Trojans 12U” team roster: Paris Coleman, Adryanna Avena, Avery Moore, Kailani Martinez, Silla Niles, Emily Lewis, Grace Miller, Andrea Sauceda, Jessica Garcia, Mia Carlson, Courtney VanHouse. The new players are Maddi Lee, Sarah Christiansen, Haven Nelson. Coached by Danny Coleman. The 12 and under team is coached by Danny Coleman and finished the season third in the state. He said the team had multiple scorers, and in one game, every single player on the team had a shot on the goal. The team in five months went from unranked to fourth in the state and from Copper League to Premier League in four tournaments. According to the Silver State Soccer League website, the league is a large and well-established soccer league based in the Las Vegas. The league is home to more than 3,600 players, more than 800 recreational male and female players of all abilities ages four to 19. SSSL has been serving the greater Las Vegas area for over three decades.